Conserve energy and increase your savings by automating your homes Heating	and Air-Conditioning Systems. Make programming your home’s heating	and cooling simple by networking your HV/AC System into your home’s	new automation system. 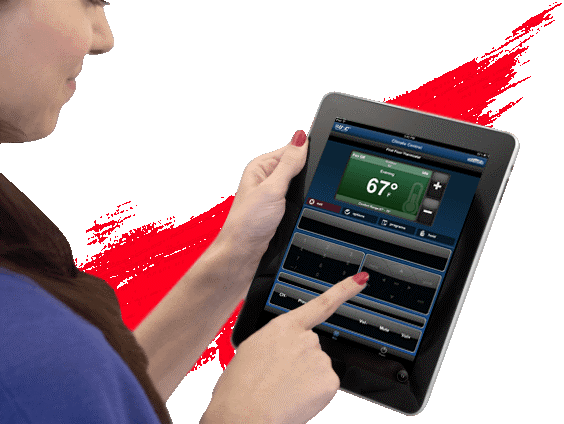 You can now use your touch screen control panel, smart phone or tablet	to access your home’s HV/AC System and program it simply and reliably. Great for homes with multiple HC/AC Systems! Multiple systems can easily	be programmed together or to operate independently. Each HV/AC zone in	your house can be seamlessly set on “Away Mode” when your	alarm is activated. Activate your home’s system to “Vacation Mode” while	you’re out of town through your computer or smart phone. You never	have to remember to turn down your thermostat before you go out of town	again. 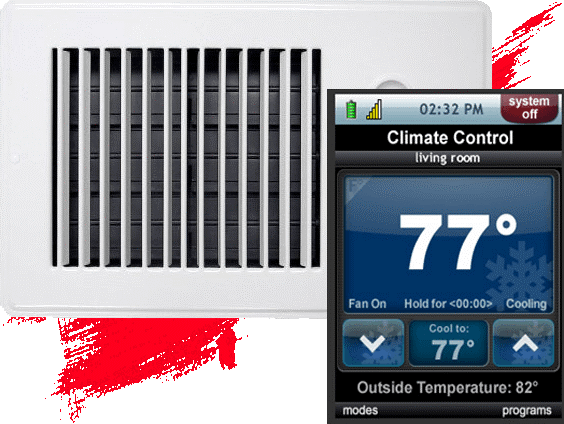 With today’s rising energy costs, efficiently controlling	your home’s heating and cooling isn’t just green, it’s smart.